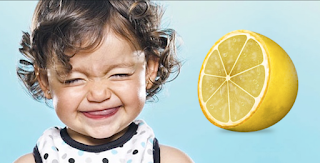 Why do lemons taste sour? The puzzle of innate qualia. A really nice recent paper reported the identification of a family of proteins that seem to act as sour taste receptors. They are expressed in our taste buds and allow us to detect the positively charged hydrogen ions produced by acidic substances. This is important because it lets us identify foods that are unripe or spoiled by bacterial growth, like sour milk. The discovery of these sour receptors is a big step forward – it adds to our understanding of how different kinds of chemicals are detected in the sensory neurons of the tongue and processed in the brain. But it leaves one really big question unanswered – why do sour things taste like that?